The older I get, the more I am moved by the plight of other fauna on the planet in the face of human rapacity. 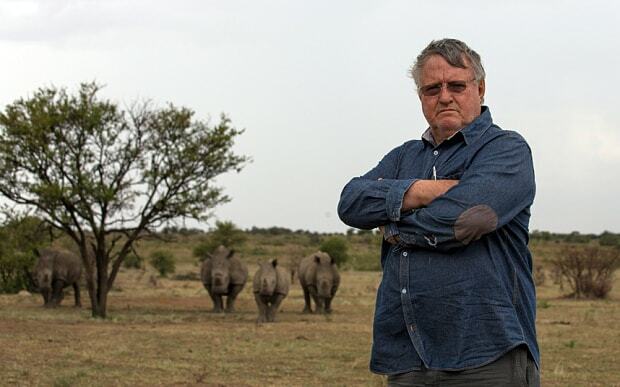 One of the week's most disgusting news items was the inaugural online auction of rhinoceros horn, held by South African millionaire rhinoceros horn farmer John Hume. 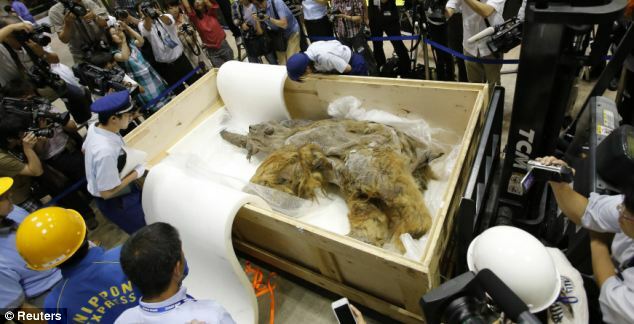 Who does not feel atavistic guilt and melancholy looking at the 39,00-year-old woolly rhinoceros found in eastern Siberia in May, one of the many species of megafauna exterminated by our hunter-gatherer ancestors? 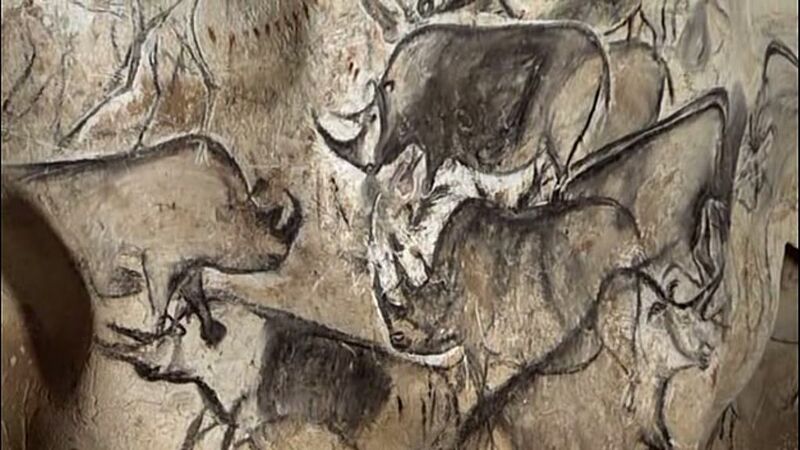 Only a few millennia later, some of them created thrilling portraits of some of her close relatives in Chauvet, southern France. The rhinoceros had lived alongside Neanderthal man in prehistoric Thessaly, but by the classical era the European rhino was long extinct. Aristotle had heard of them, probably through accounts sent by Alexander’s army in the east, and the occasional Egyptian-Greek amulet shaped like a rhinoceros has turned up. 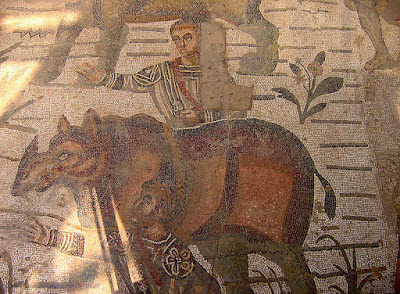 But the brutal exploitation of the rhinoceros can clearly be seen in ancient Rome, where it became the star of the amphitheatre. The rhinoceros features in accounts of wicked Emperors’ depravity: Commodus liked to slaughter rhinoceroses personally, at no danger to himself. Caracalla revelled in rhinocericidal spectacles as well. Domitian had been particularly keen, even stamping a rhinoceros on coins to remind his imperial subjects of the lavishness of the games he had provided. 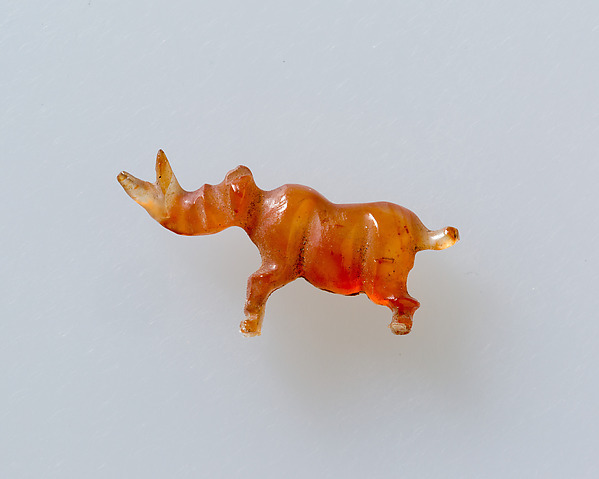 The poet Martial’s poems on Domitian’s rhinoceros fetish are heart-breaking. Since this magnificent beast is vegetarian, and temperamentally placid, it proved profoundly disappointing in the shows when animals were meant to tear each other apart to gratify the audience. So the rhino had to be tortured into losing its temper and attacking other animals. But then it could toss two oxen in the air, terrorise a lion, or vanquish a great brown bear. The rhinoceros, all 3,800 lbs of it, can indeed charge an adversary at 30 mph. John Hume’s rhinoceroses can’t toss their assailants, of course, because he has removed and auctioned their horns. But I for one would not be sorry to see him face a herd of them, furious, in an arena. Perhaps a new form of the ancient venationes (hunting spectacles) could be invented specifically to punish humans convicted of cruelty to animals. Thanks for shear it.....Download Latest Version↪►► Rhinoceros Crack...... You are doing right job.